Keratin is a natural substance that comprises about 88% of your hair. 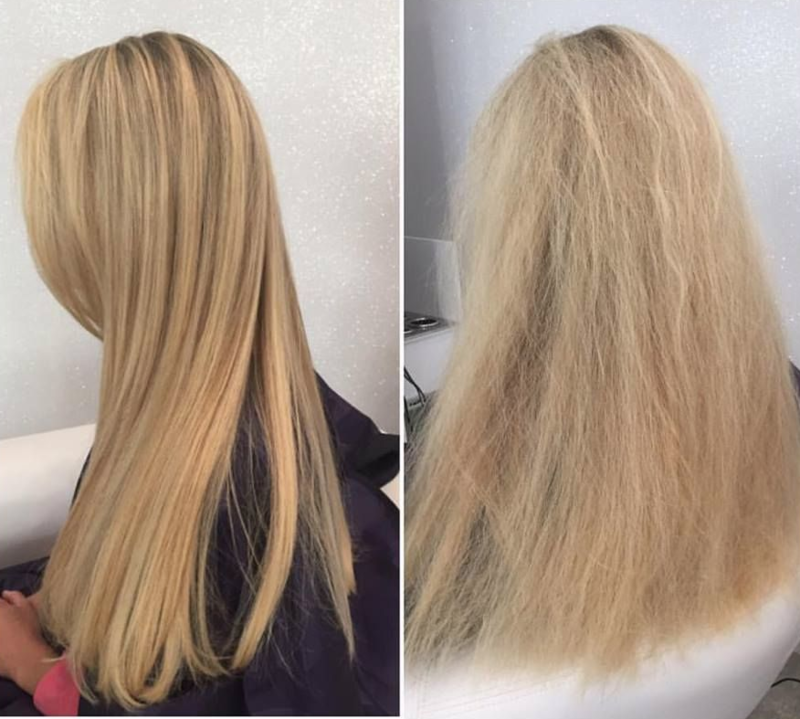 A keratin treatment can add strength and restore luster by helping to repair internal damage to the hair shaft while coating the hair to prevent further damage. The result is soft, shiny, frizz-free hair. A keratin treatment is beneficial to all hair types, whether damaged, coarse, thick, curly, straight, or color-treated. The process is fast, easy and pain-free. While it takes only about 2 hours, the results last for 3 – 4 months. As always, please consider our stylists your hair care partners. They are available to answer any questions you may have about this or any other treatment you are considering.